ADDITION TABLE: I created this easy to follow, colorful addition table because a colorful table wasn't easily available for download. 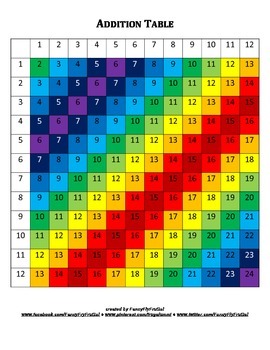 The colors make it easy for young math learners to memorize their basic addition facts. Laminate this product for repeated use.